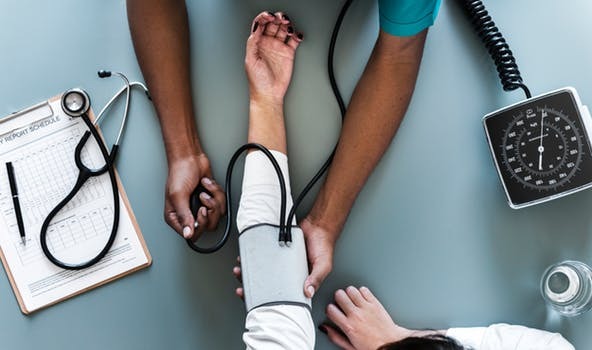 Health Insurance Open Enrollment | Association Insurance Services, Inc.
HR Services with AIS, Inc.
Open enrollment for individual health insurance plans is quickly approaching. This is the time for folks to look over their current insurance plan and decide if they want to keep or change it and sign up before the deadline. For 2019 insurance coverage, open enrollment begins November 1, 2018, and ends December 15, 2018. If you are currently enrolled in an individual plan, now is the time to do some research. In some instances, if you do nothing, your plan will remain the same and will roll over in 2019 with no changes. For others, their current plan may be discontinued or there may be changes. No matter what your situation, taking the time to look over your options is essential. Changes after the December 15th deadline cannot be made unless there is a qualifying event in your life such as loss of current coverage, a marriage or divorce, a birth of a child or a dependent turning 26 or other events. What happens during Open Enrollment? Expect a letter from your current health care provider detailing your specific situation. If there are changes in your current plan or it has been discontinued, this letter will provide that information. If your current plan is still available and has no changes, you may be notified that nothing needs to be done to re-enroll for 2019. Be sure to read this letter in detail to determine the steps you need to take. Make certain that your doctors and preferred hospital are still in your network and verify the cost of a visit if you use providers out of network. In addition, drug coverage may have changed. Reviewing the 2019 drug benefits is important. Are your current medications covered? All health plans must provide a link online to a list of formularies, or the drugs they cover. Spend some time making sure all the critical pieces that are important to you are covered. What’s New for 2019 Open Enrollment? Of course, there are changes to the healthcare marketplace, just like every year prior. This year the penalty for not having health insurance has been eliminated. However, having coverage is still the best way to protect and maintain your health as well as provide for any unexpected health issues while reducing costs. Another change to open enrollment is access to short-term medical plans, which was limited before October 2018. Short-term plans have low premiums but may offer limited coverage. They are also not required to cover all benefits (prescription drugs, pregnancy and newborn care, hospitalization, emergency care, outpatient care, mental health and substance abuse services, lab tests, rehabilitation, prevention and wellness, and dental and vision care for children. Some short-term plans may cover some or all of these benefits so be sure to look into your options. Open Enrollment and AIS, Inc. If you are overwhelmed with the prospect of finding the right plan for you during open enrollment, you’re not alone. AIS is here to help you every step of the way and throughout the year. It’s best to start now and avoid waiting until the last minute. Take the time to understand your plan, and call AIS at (913) 397-9400 or request help online to find the best available plan for your needs.